I was first introduced to Sofia Kang’s line Filosofia years ago, shortly after I launched These Native Goods. I instantly fell for her easy to wear, elegant silhouettes. She designs the type of clothing that you can throw on to feel both comfortable and put together. As a mom this is something that I always look for, I feel like I am constantly on the go, I need to be able to move freely and keep up with a four year old. I want clothing that has ease, but that I still feel presentable in. I have been following Mien on instagram for awhile now and I’m very excited to finally include the line in our directory! Designer Lisa Hsieh started the brand while pregnant with her son, so it only makes sense that motherhood is her biggest inspiration. 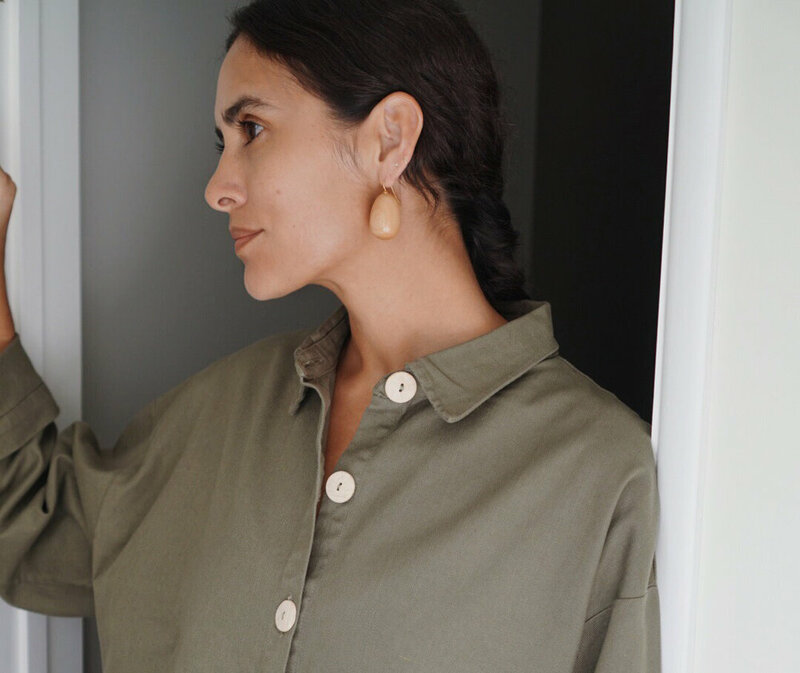 The pieces are meant to provide ease and comfort during our busy days, running around town, chasing our little ones and keeping up with life in general. Lisa also designed them to accommodate our changing bodies, through pregnancy, nursing and all the other changes life presents us with. The collection includes matching pieces for kids too and some adorable jersey clothing made from organic cotton. I try a lot of skincare products for my website. Before I add a new company to the directory I personally test out a handful of their goods. So I spend a fair amount of time as a cosmetic guinea pig. However my personal daily beauty routine had become so quick and short that it could hardly be considered a routine. I have a very girlie daughter, with an independent spirit. She’ll be five in March but she stopped letting me dress her almost a year ago. Our styles are typically pretty different so I guess I get it, she’s into bright colors, piling on the layers and lots of accessories (a more is more kind of girl). I like earthy tones, nuetrals and kind of a minimal California style (sometimes feminine but also very tomboy). KdBird’s accessories are the perfect balance of what we both love. USA made organic cotton sheets are a hard thing to come by, maybe because domestically grown and milled organic woven fabrics are not readily available. Organic jersey (knit) fabrics are a little more accessible, the reason you can typically find a fully USA made tee-shirt much easier than say, a button up (or as mentioned, sheets). Not to say that domestically made woven’s don’t exist, but they are few and far between, with price tags to match their exclusiveness. I’ve been browsing sheets a bit lately because our last pair just gave out, in my search I either found items that were out of my budget or brands that were a bit too vague about their supply chains.